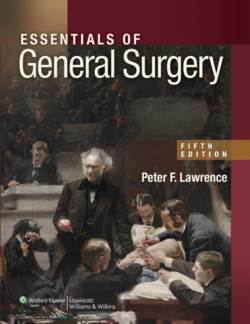 For nearly 25 years, medical students and faculty alike have chosen E ssentials of General Surgery and its companion textbook, Essentials of Surgical Specialties, for authoritative coverage of surgical information that every physician in training should know. The Fifth Edition incorporates current research from the field; new sample questions, answers, and rationales; and new tables and algorithms. A new art program presents concepts and images—including an Appendix with 50 burn images—in full color for optimal learning and retention.